Nischay Nanglia from Bangalore, B.B.A Graduate. Nischay Nanglia is MBA Graduate and currently have no work experience. COMM SKILLS TIME MANAGEMENT RAPPORT BUILDING OBJECTION HANDLING S..
are one of expert skill area's of Nischay Nanglia . 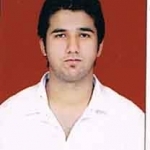 Nischay Nanglia is working in Sales Marketing industry.